To ascertain the views of experts and active stakeholders from FATA about the 10 years development plan devised by federal government for the region, TNN conducted an interview of Muttahida Qabail Party vice chairman Malik Habib Noor Orakzai, United Nations FATA Women Advisory Board Member Mehreen Afridi and FATA Youth Alliance president Abid Khan over challenges in the implementation of the plan. TNN (from Mehreen Afridi): How do you see the 10-year uplift programme? What will be its salient features? Mehreen Afridi: A 10-year development programme was proposed in the FATA Reforms Committee report, but unfortunately we put more emphasis on political and administrative reforms. The social and economic development package is inevitable for the future of FATA. The first meeting of the commission in this regard is a welcome step. These projects are in agriculture, education, health and minerals sectors. The programme also includes establishment of an industrial zone and infrastructure development in the tribal areas. So these are the aims and objectives of this mega development plan. Malik Habib Noor: If the government wants to give us a separate province or merge us with KP then they should carryout massive development programmes in FATA to end difference between the youth from FATA and Peshawar. Uplift projects should have been carried out first and tribal lawmakers should have made efforts for legislation for FATA. Had the tribal legislators enjoyed rights of legislation for FATA, the problems regarding population census, delimitation of constituencies and other issues in the tribal areas would have been resolved easily. Abid Khan: Unfortunately we doubt this package for some reasons. They agreed to give us share in the National Finance Commission (NFC) Award on the condition that we must accept merger with KP. The provincial government then came out with the demand of powers to spend the NFC amount of FATA. Why they are putting so many conditions if the development package is all about the FATA people. The government should have started development projects in FATA after completion of repatriation of displaced people. TNN: Do you mean that the development programme in FATA will not bring any change? Abid Khan: Why not? It will certainly improve healthcare and education system in FATA, but the main point is that when and how it will be implemented? They should do something at least to satisfy us. They are repeatedly saying that FATA will get Rs120 billion development fund then they should spend at least Rs20 billion to start with. Why they are not taking this initiative. There is severe unemployment in FATA, while lack of facilities symbolises tribal life. Initiation of development programme will create job opportunities and their living condition will improve. Establishment of four universities and as many colleges in FATA was approved eight years ago, but nothing has been done so far to implement that programme. The government has established only one university for FATA and that too in a settled area on the pretext that the FATA people were not unanimous on the site of the university. They should tell me where they had made consultation with tribal people in this regard. TNN (from Mehreen Afridi): What are the main challenges in implementation of development programme for FATA? 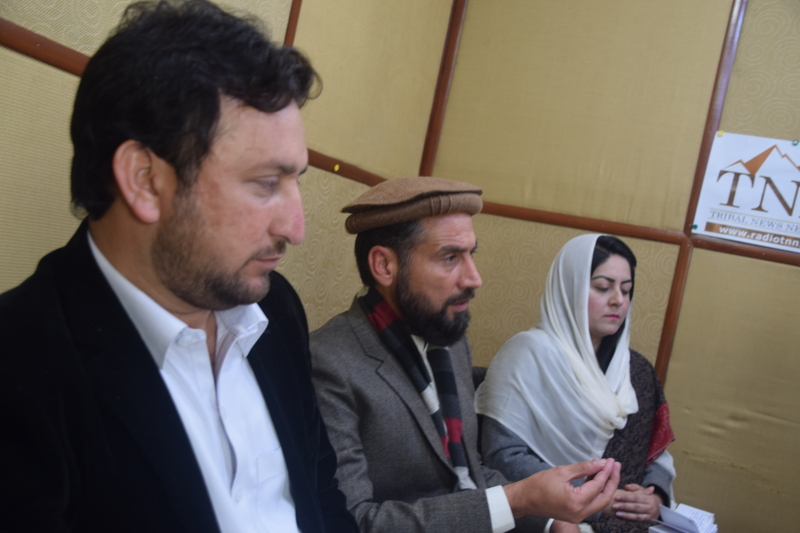 Mehreen Afridi: The main challenge is that how this package will be implemented. How the government will ensure transparency and accountability in this programme? No programme can meet its desired objectives without the participation of people on grassroots level. It means that local bodies election in FATA is vital to ensure transparency and accountability. These are the challenges which we faced in the past too and the government needs to work on it. TNN: How far you are optimistic about the initiation and implementation of the programme? Mehreen Afridi: We are hopeful that this programme will progress in a transparent manner. At least one step has been taken in the right direction and we should not lose hope. Along with the implementation of the programme, we should continue to raise our voice for our rights. TNN (from Malik Habib Noor): What are your and other leaders’ main responsibilities to make this programme successful? 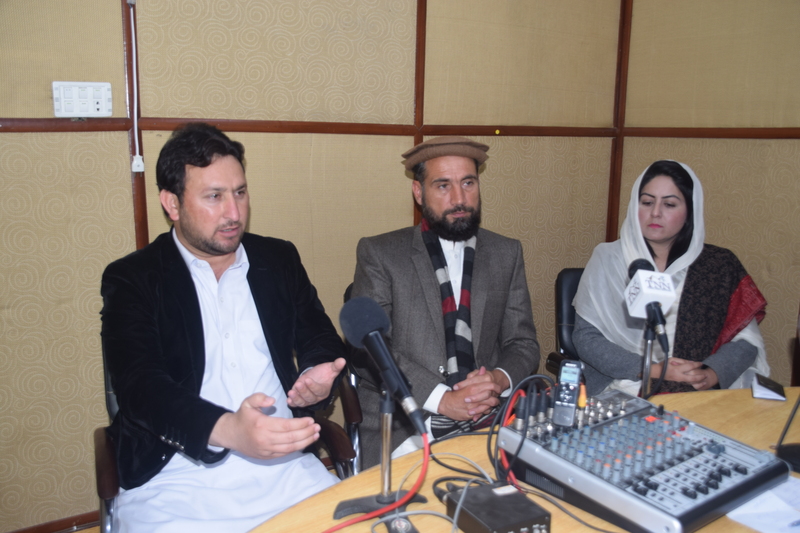 Malik Habib Noor: It is the responsibility of the tribal elders to actively participate in the development programme. They should also contribute physically if needed. I am asking my tribal brothers to wake up and stand up for their rights. Time has arrived for them to make their future. The development programme in FATA is the first step in this regard and everyone must make contribution in it. Mehreen Afridi: The government should also devise a proper policy to make this programme successful. The government should provide full opportunities to the youth to participate in the programme and the youth and women should get there share in this package. TNN (from Abid Khan): What can be the main responsibilities of the FATA youth in execution of the development package? Abid Khan: Many tribal youth are educated now and they can play active role for making this programme a success. They can write about the tribal issues in newspapers. They should also use the platform of social media to create awareness about the tribal issues. The educated youth must shoulder the responsibility of telling everyone in FATA about the new system, its benefits and mode of working. Mehreen Afridi: The whole world knows about the poor state of women in FATA. In the current circumstances, most of tribal women even don’t have the right to have an opinion. A separate package for women should be specified in the FATA development programme. FATA is the most affected region from the war in terror and there are many tribal women who have lost their husband, father, son or brother in the war. Such women are now shouldering the responsibility of looking after their families. Giving women a say in implementation of the programme is inevitable to achieve its desired objectives. TNN (from Abid Khan): What will be your priorities if you get some implementation powers about the development programme? Abid Khan: I would bring all the displaced people back to their homes and then restore the damaged infrastructure before launching other development projects. Mehreen Afridi: Providing home to the people is the most important and urgent need of FATA people. What will be the use of hospitals and schools if the people don’t have a home? Economy should also be strengthened to enable the people to earn their livelihood with dignity. Malik Habib Noor: FATA has a lot of mineral resources. If we have some authority, we will ask the government to provide us modern machinery to utilise the mineral resources of FATA for development of people. Providing jobs to the FATA people must be the top priority. This article has been taken from TNN programme Badloon which highlights political activities and reforms process in FATA. TNN producers Shan Muhammad and Salman Ahmed produced this programme which was broadcast from five radio stations of FATA and KP. TNN correspondents: Shah Khalid, Gul Muhammad Mohmand, Shah Nawaz Khan Afridi, Malik Azmat, Ali Afzal, Hikmat Shah, Nabi Jan Orakzai and Rizwan Mehsud contributed to this article.